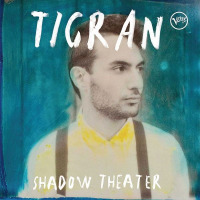 The young, Armenian-born pianist Tigran Hamasyan possesses an almost intimidating virtuosity, a style that owes as much to Art Tatum's two-handed volubility and the sweeping refinement of Impressionist composers as it does to the spiraling, East-meets-West melodies of his homeland. 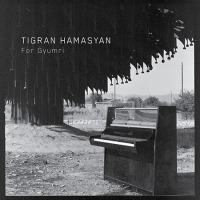 Winner of the 2006 Thelonious Monk Institute's piano competition, New Era (2008, Nocturne) found Hamasyan settling into a familiar, if impressive trio aesthetic, mining the angular vernacular of modern jazz piano on now-standard vehicles like "Well, You Needn't" or "Solar," as well as on some of his own lovely compositions. 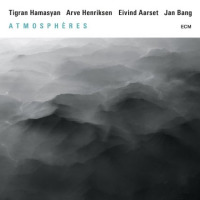 So it is a welcome surprise to hear the dreamlike, tinkling sustain of the minute-long "Rain Shadow" that opens this new disc almost like a lullaby, an otherworldly state that A Fable, by and large, maintains across its length. 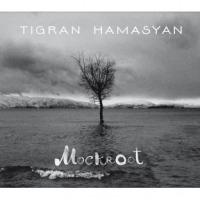 For Hamasyan's first solo album, gone are the walking bass, the stabs at jazz-based legitimacy, or any outright forays into the typical jazz canon. Instead, he produces his first fully mature work, in an individual style utterly unlike anything else on the market. Folklore certainly seems to be on the pianist's mind. Both the titles of tunes ("A Fable," "Kakavik (The Little Partridge)," or "The Legend of the Moon") and the way many of the tracks build themselves around simple, almost childlike melodies attest to this return to roots. "Longing" is perhaps the finest example of this on the album: the melody, sentimental but not cloying, is rendered in a haunting pianissimo with minimal improvisation, as the pianist recites two quatrains about exile and homecoming from the Armenian poet Hovhannes Tumanyan in a beautifully unadorned singing voice. These fragile, touching moments are plentiful on A Fable, "The Legend of the Moon" or "Mother, Where Are You?" introducing a rich body of balladic work that eschews technical fireworks in favor of powerful emotional connection. The pianist is still capable of raising the tempo when needed, however, which gives the set a much needed sense of variety. With equally evocative melodies, both "What the Waves Brought" and "Samsara" launch into dense, fleet-fingered territory, ricocheting from one arpeggiated cluster to the next with centrifugal force. A touch of Liszt's Rhapsodies, Debussy's Arabesques or even Jacques Ibert's "Little White Donkey" collide with the modal melodic sense of his Armenian heritage, and are then allowed to evolve freely through his improviser's sensibility. 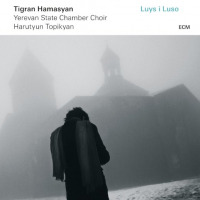 In the faster sections, the precision of Hamasyan's touch, his volume control and the independence of his hands are absolutely breathtaking. How impressive, that even during these showpieces for his technique, he still manages to tether himself to an unimpeachable emotional core. "Someday My Prince Will Come" is the album's sole nod to jazz music proper, but even it is filtered through the prism of what is obviously an increasingly confident, individual voice. If A Fable is Hamsyan's method of coming home, we are lucky that he invites us along for the ride. His world is a stirring place to spend an hour. Track Listing: Rain Shadow; What The Waves Brought; The Spinners; Illusion; Samsara; Longing; Carnaval; The Legend of the Moon; Someday My Prince Will Come; Kakavik (The Little Partridge); A Memory That Became A Dream; A Fable; Mother, Where Are You? 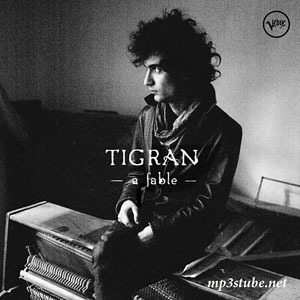 Personnel: Tigran Hamasyan: piano, voice.